‘Emigration does not only involve leaving behind, crossing water, living amongst strangers’, writes John Berger, ‘but, also, undoing the very meaning of the world and – at its most extreme – abandoning oneself to the unreal which is the absurd’. Berger acknowledges that emigration can be driven as much by hope as desperation, and that ‘to live and die amongst foreigners may seem less absurd than to live persecuted or tortured by one’s fellow countrymen’. But this does not discount the proposition that to emigrate always involves a dismantling of the world. ‘A week after we landed in America (Bklyn) we borrowed money and bought our first Bolex’. So reads the opening inter-title in Jonas Mekas’ Lost Lost Lost (1976). 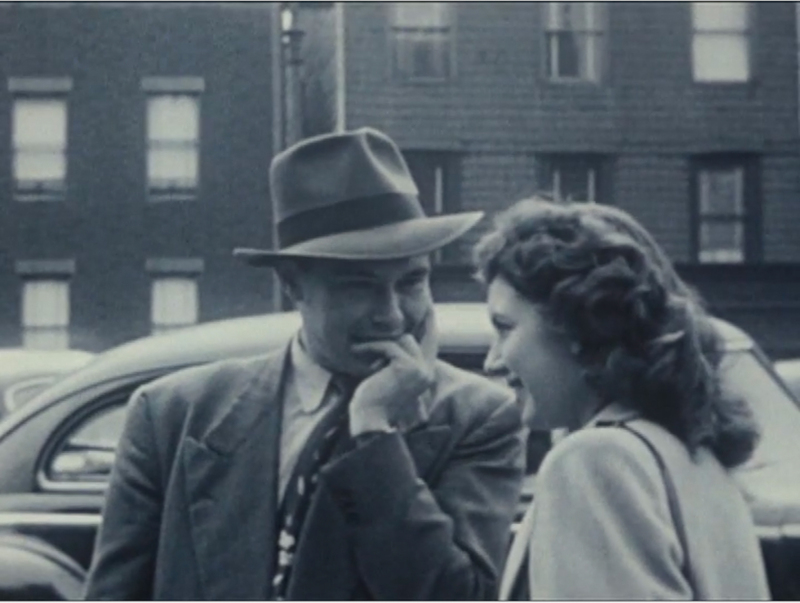 Combining footage shot over a fourteen-year period that commenced when Mekas and his brother Aldofas arrived in New York in 1949 as displaced persons with a voiceover and inter-titles composed during the editing of the footage in 1975, the film documents the director’s often-painful experience of acculturation. Spoken in Mekas’ halting, heavily-accented English, the voice-over grounds the images in his personal history; yet at other times it also distance him from this history by presenting the events and experiences in the form of a dramatic monologue: ‘O sing Ulysses. Sing your travels. Tell where you have been. Tell what you have seen. And tell a story of a man who never wanted to leave his home. Who was happy and lived among the people he knew and spoke their language. Sing how then he was thrown out into the world’. The solemnity of these opening words is undercut by the images of Jonas and Aldofas playfully jostling in front of the camera. 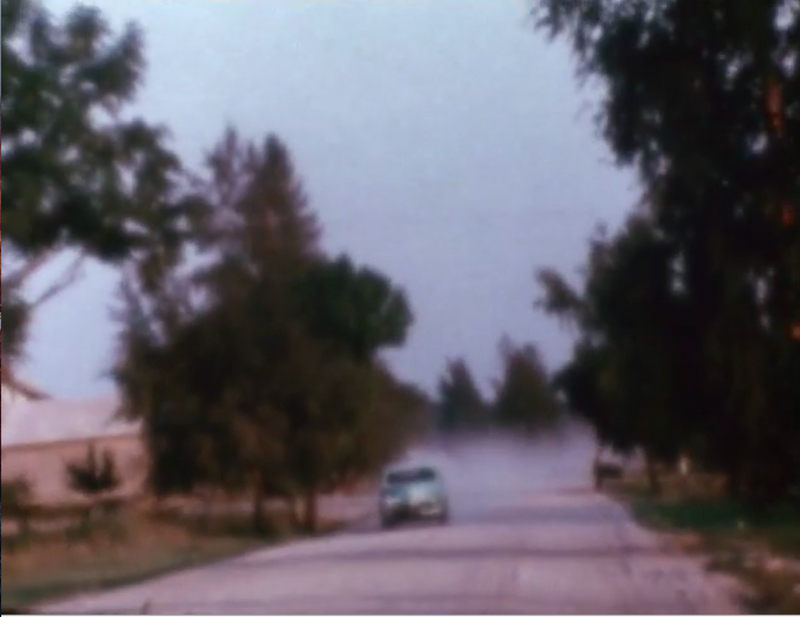 Their antics align the film as much with the informality of the home movie as with the traditional observational styles of documentary filmmaking that were prevalent at the time. It combines an intimate relationship between the camera and the people being filmed with a more detached reflection about the events and experiences that comprised the filmmaker’s first fourteen years in America. I can imagine a house maybe in Paris or maybe near Paris where in the early ’20s the Russian immigrants used to gather and exchange their memories and, then, as years went by, slowly die. Such a house for me was the house of Lape. We all gathered there. We all lived on memories there—poets, politicians and those who did not belong anywhere. We were all accepted in the house of Lape. I look at you now from a distance, crowds early Sunday afternoon. I look at you. Then you thought it was all so temporary. . . Paulius, Paulius, I see you. Remember last days, that evening . . . that evening we all danced around a young birch tree outside of the barracks. We thought it will be all so temporary, we will be all home, soon. And then we all went to different directions. I see you. I see . . . you. I recognize your faces. Each one is separate in the crowd. In classical rhetoric, the device that describes Mekas’ narration at this point is prosopopeia: a form of address whereby an absent or dead figure is given a face and, through this process, made to speak. In prosopopeia, Pierre Fontanier clarifies, ‘absent, dead, supernatural or even inanimate beings . . . are made to act, speak, answer as is our wont. At the very least, these beings can be made into confidants, witnesses, accusers, avengers, judges’. The price paid for this privilege is an acknowledgement of the dissymmetry between the present and the past that underpins all forms of commemoration. In its commitment to giving voice to an absent past, Lost Lost Lost can be viewed as an extended rendition of prosopopeia. The point to add is that, in the film, prosopopeia is not just a linguistic conceit. It is also a matter of the image’s referential qualities. ‘Paulius, Paulius, I see you’: each time the filmmaker calls out he acknowledges the reality of his friend’s presence on screen and his irredeemable absence. Mekas’ insistence on keeping faith with both of these scenarios lends the film its distinctive tone. It also gives rise to an understanding of cinema as an engagement with the past that refuses to accept either its accessibility or its over-and-doneness. This is the other way in which Lost Lost Lost can be spoken of as a home movie. The narration works in tandem with the images to reconnect the two lines that Berger speaks of: the horizontal line that marks the ceaseless traffic of the world and the vertical line that enables continuity between the living and the dead. In Mekas’ film this continuity takes the form of a haunting that unsettles the relationship between the past and the present, the living and the dead. The outcome is a type of cinema bound to a labor of commemoration – a cinema that draws on the referential qualities of image and voice to speak for the past. 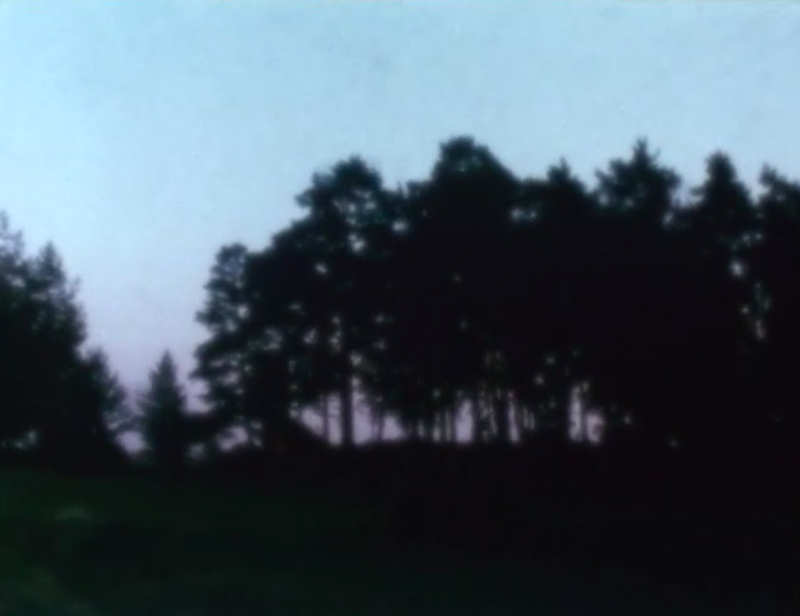 When Mekas calls out to Paulius, asking his friend to remember that evening when they danced around the young birch tree outside of the barracks, he links his history of migration as well as that of millions of other displaced persons to the tension between loss and the possibility of retrieval that underpins the allure of film and photography. In Lost Lost Lost migration takes on a cinematic character, at the same time as cinema is understood in and through the conundrums that are at the heart of the migratory journey. The question that we need to return to is: how does this understanding transform the way in which home is represented? Part of the answer to this question can be found in Reminiscences of a Journey to Lithuania (1971), the film that documents the return by Mekas and his brother to the family home in Lithuania, twenty-five years after they were forced to flee. The homecoming constitutes the second part of the film’s three-part structure. Part 1 recounts the filmmaker’s experiences during the first decade after his arrival in New York, beginning with a memorable hiking trip to the Catskills Mountains. It was during this trip that he felt the first glimmers of a new home in America. In Part 3 the two brothers travel from Lithuania to Hamburg. We see Aldofas lying on his back in an empty field in the exact spot where their beds used to be in the labor camp. The brothers then continue their journey to Vienna where they rendezvous with some close friends from New York: the filmmakers Peter Kubelka and Ken Jacobs and the writer and critic Annette Michelson. The time spent touring the galleries, centuries-old monasteries, and wine groves in the town of Kremsmünster affirms what Mekas describes as ‘the indestructability of the human spirit, in certain qualities, certain standards that have been established for over thousands of years’. Yet as if to cast doubt on this sentiment, the film ends with a shot of the night sky lit by the flames from a fire in the old fruit market in Vienna. As we watch the flames gradually consume the old market, the filmmaker relays Kubelka’s view that, in all likelihood, the fire was lit by the city officials: ‘They want a modern market now’. Bookended by these reflections, Part 2 commences with the title card: ‘100 Glimpses of Lithuania. August 1971’. This is followed by a series of speeded up images separated by the insertion of numbered cards. Gradually, this rush of images is replaced by views of the Lithuanian countryside seen from inside a moving vehicle. The insertion of brief explanatory titles and the filmmaker’s voice-over narration guide us through the events that occurred during his stay in the village of Semeniškiai. But the elliptical manner in which the images are shot and edited maintains the impression of experiences caught on the run or only partially grasped. ‘Our gaze here is . . . one of a multiplicity of glimpses’, writes Maureen Turim, ‘for the camera bounces through a scene saccadically, jumping or racking focus from close-up to distance, or from whole to fragment, from moment to different moment, as if to reassemble a larger picture by this fragmented collage of what otherwise might be seen as a more continuous whole’. ‘The activity of glimpsing’, Turim concludes, ‘is not just nervous, it is provocative, meant to stimulate an active seeing’. The other thing it does is suggest the always already memorialized nature of seeing, in other words, the reconstruction of experience by the process of memory. Twenty-five years after he was forced to flee, the filmmaker returns to his former home and reunites with the family members that he left behind. It is not surprising that he struggles to reconcile the views and impressions generated during the visit with the views and impressions that he had retained during the long years of his absence. The role of the voice-over is to mediate this struggle – between the memories that define his life back then and the experiences that constitute life as it appears to him now. Its pauses and hesitancy, heavily accented phrasing and shifts between past and present tense render this struggle palpable. ‘As we were approaching, closer and closer to the places we knew so well’, Mekas tells us during the drive to the village, ‘suddenly in front of us we saw a forest. I did not recognize the places. There were no trees when we left. We planted small seedlings all around and now the little seedlings had grown up into big large trees’. 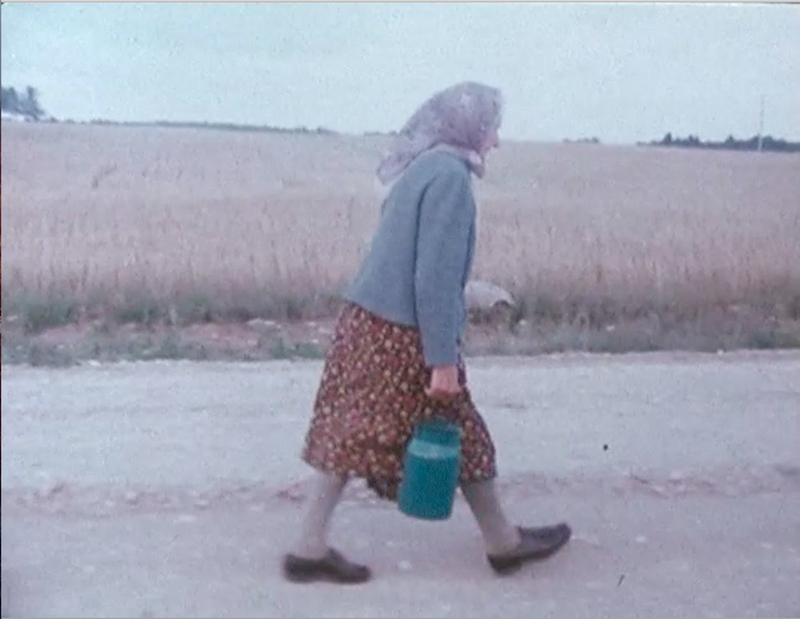 The journey to Lithuania thus lies at the border of two registers of experience that are central to Mekas’ films: perception and recollection. Nowhere is this more evident than in regard to the filmmaker’s aging, yet still remarkably active, mother, Elžbieta. Seemingly always present in the camera’s view, she is introduced by a title card that also stipulates her date of birth: 1887. The camera documents her endless chores of gathering water from the well, picking fruit from the surrounding fields, and preparing the family meals that she insists on cooking outside the house on an open fire. In her commitment to these practices, she embodies those aspects of village life that remain unchanged since the filmmaker’s departure. But the attention paid by the camera to her aged face and bearing also situates her as a reminder of all that has been lost in the passage of time. Like Elena Nabokov in Speak Memory, the filmmaker’s mother holds in abeyance two experiences of time that are fundamental to cinema’s appeal: time as ‘stored’ or preserved and time as ineluctably past. 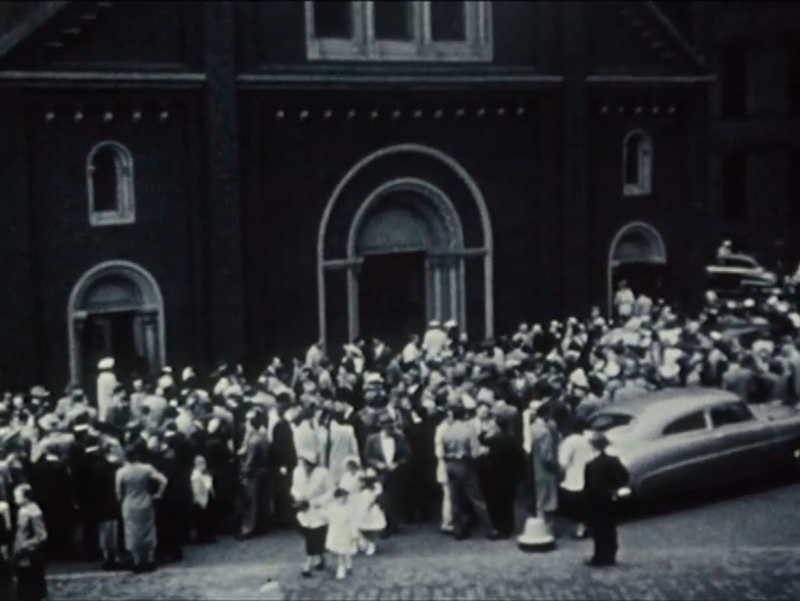 This is what is so moving about the images generated by the film: they speak of a desire to affirm the existence of the people and places recorded by the camera at the same time as they certify that the world rendered on the screen is a world constituted through an experience of loss. 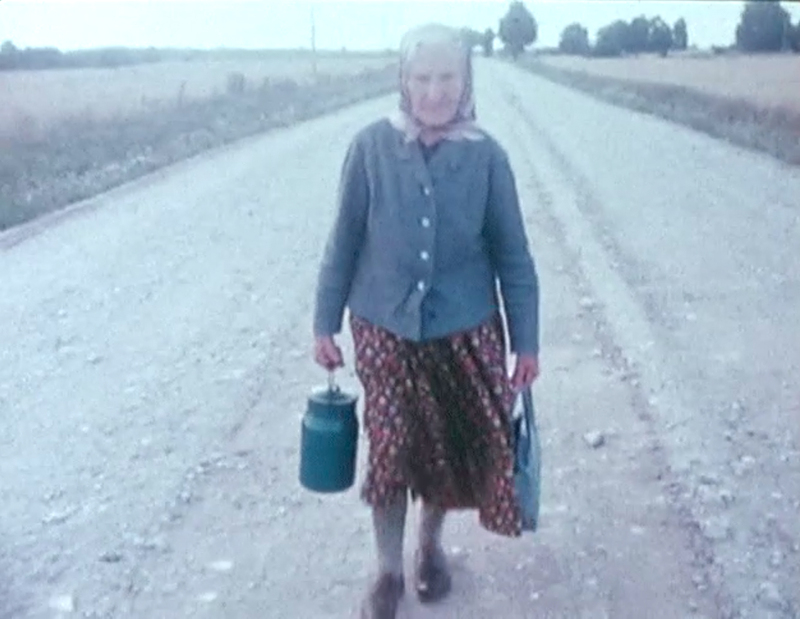 Near the end of Part 2 we are presented with an extended series of shots of Elžbieta walking along a dusty road. In one hand she holds her handbag; in the other a metal milk pail. As she walks briskly along the road, the sound of voices singing a Lithuanian folk song continues from the previous scene. The filmmaker explains that the song is about someone who hopes that the long grey road on which he travels will lead him back to his home and his mother. The interaction between the images and the words and melody of the song enfolds the film’s documentary agenda within the enactment of a performance. As is the case with memory, we experience a performance belatedly – not for the first time, but through a process of re-enactment. This performative dimension lends the story of Mekas’ homecoming a phantasmatic element. Freud uses this word to describe the acting out of a scenario that the subject returns to again and again. The phantasmatic wish always draws on new material: it is dynamic rather than static. Earlier in the film, the filmmaker reenacts rituals and events from his family’s past, for example, the ceremonial drinking of water from the well, the re-running of races in the field next to the old school, as well as his former labor with the wooden scythes and hand plough. ‘We touched some of the things we used to work with’, Mekas tells us about these objects. ‘Of course, they’re not used anymore in the fields, but it has memories for us. As we were mowing the grass around the houses . . . It was real enough as a memory’. In Reminiscences of a Journey to Lithuania the filmmaker shows us the home that he left behind and re-enacts a series of memories that endeavor to comprehend its loss. Somewhere at the end of Atlantic Avenue, somewhere there they used to have their picnics. I used to watch them, the old immigrants and the new ones, and they looked to me like some sad dying animals in a place they didn’t exactly belong to, in a place they didn’t recognize. They were there on the Atlantic Avenue, but they were completely somewhere else. 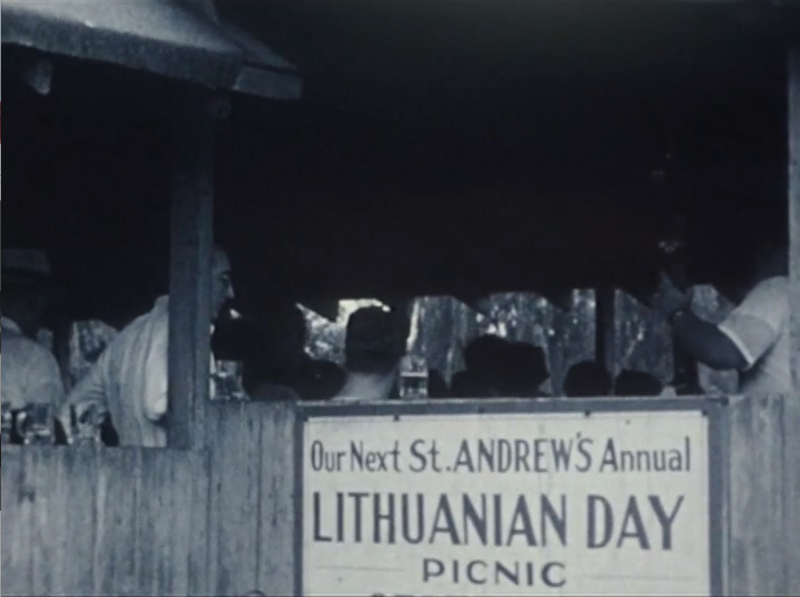 For Mekas, the Lithuanian immigrants gathered at the end of Atlantic Avenue seem to point both ways: back to the places and people that they left behind and forward to that fugitively glimpsed but unreachable endpoint that he refers to as home. The Greek poet C. P. Cavafy calls this endpoint ‘Ithaka’. ‘Keep Ithaka always in your mind’, the poem’s narrator tells us. ‘Arriving there is what you are destined for’. He urges us not to hurry the journey: ‘Better if it lasts for years, / so you are old by the time you reach the island, / wealthy with all you have gained on the way, / not expecting Ithaka to make you rich’. Immediately after these lines, Cavafy switches the poem’s point of view. No longer a destination that lies ahead, Ithaka is now seen in retrospect. ‘Ithaka gave you the marvelous journey. / Without her you would not have set out. / She has nothing left to give you now’. The question driving the poem is no longer: How to manage the journey? It has become: Are we able to grasp what it will have meant? This change is confirmed in the final stanza: ‘And if you find her poor, Ithaka wont have fooled you. / Wise as you will have become, so full of experience, / you will have understood by then what these Ithakas mean’. The troubling retrospection that dominates the poem’s final two stanzas stems from the recurrent use of the future perfect form of address: ‘you will have become’; ‘you will have understood’. At the end of the poem, the voyage is over. But what remains still to be grasped is the meaning of all these comings and goings. By bracketing this meaning, Cavafy creates a distinctly modern interpretation of Ulysses’ journey home. ‘It is as if Cavafy’s basic poetic gesture were to deliver meaning to someone else while denying its rewards to himself’, speculates Edward Said. The point to stress is that this bracketing of meaning is a productive gesture – it ensures that the figure of home continues to press its claims even when we believe ourselves to be done with the journey. In Cavafy’s poem, Ithaka is both behind us and ahead of us, still. Similarly, in Reminiscences of a Journey to Lithuania the feelings of longing that drive the film stem not from the loss of home as James and Renov assert; they arise from its status as still to be thought. ‘Yes, we are, we still are displaced persons, even today’, Mekas declares near the end of Part 1. ‘And the world is full of us. Every continent is full of displaced persons. The minute we left we started going home and we are still going home. I am still on my way home’. Mekas had not read Cavafy’s poem when he framed his experience of exile as a version of the story of Ulysses. But what his rendition of the classical story clearly shares with the one found in the work of the Greek poet is this insistence on keeping the meaning of home open or still to come. This insistence is evident in the final pages of his written diary I Had Nowhere to Go. The diary ends with a letter addressed to Ulysses’ wife Penelope, in which the author describes an epiphany of his homecoming: ‘I suddenly had a feeling that my past had caught up with my present. I have arrived almost at the point of departure. I felt strongly my childhood coming back to me’. In this epiphany, the smell and colours of the past surge back to life: ‘I could feel everything like then and there, every smell and color and the blue of the sky . . . I was sitting there and trembling with memory’. And that is where the diary ends. Almost. 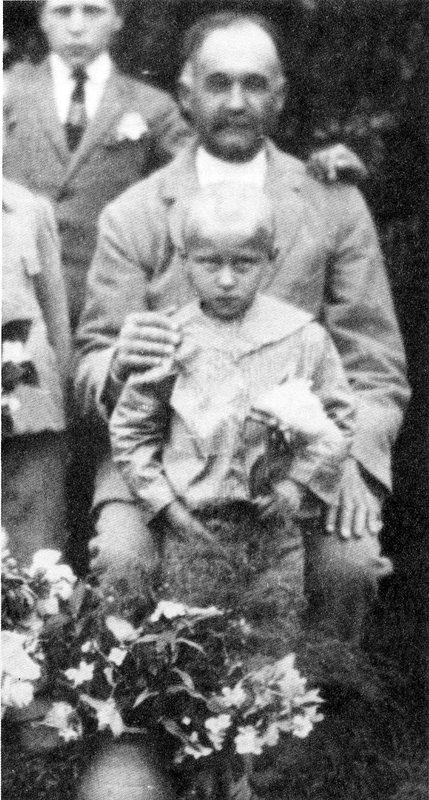 Turning the page, we are confronted with a photograph that also appears at the start of the book: it shows the filmmaker as a young boy of six, standing in front of his father, who is seated. 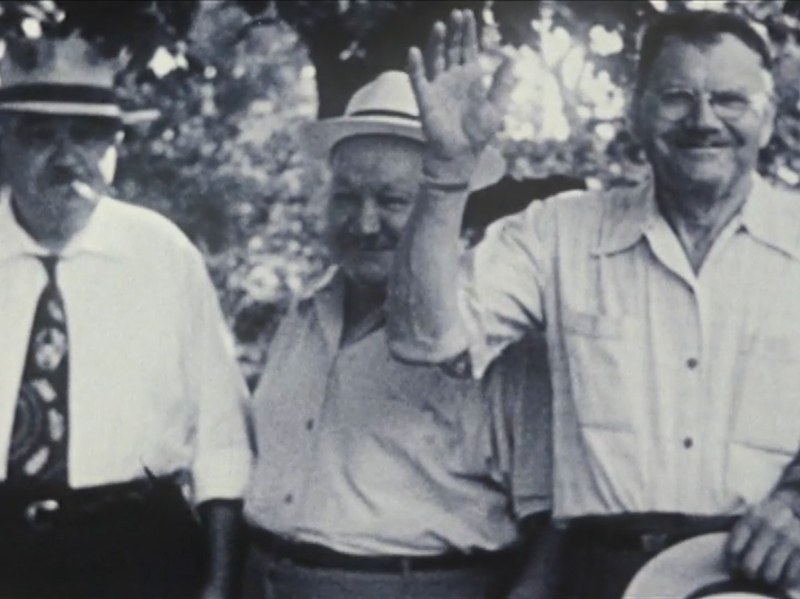 The inclusion of this photograph at the beginning and at the end of the diary affirms the on-going demands that the filmmaker’s past makes on his present. Reminiscences of a Journey to Lithuania and Lost Lost Lost respond to these demands by positioning the people and places that constitute this past as always still to be thought. This is the significance of the reappearance of the photograph: to remind us that home can only be experienced as a point of unfinishedness that undermines the distinction between past and present, then and now. In their capacity to render an experience of a home in which feelings of home and homelessness reside side-by-side, Mekas’ films echo the displacement rendered in Cavafy’s devastating final line: ‘you will have understood by then what these Ithakas mean’. This encounter with a meaning that has already happened and is still to come gives the figure of home its distinctive temporality – at the same time as it implicates us in the difficult openness of the migratory journey. John Berger, And Our Faces, My Heart, Brief As Photos (London: Writers and Readers, 1984), p. 56. David E. James, ‘Film Diary/Diary Film: Practice and Product in Walden,’ in David E. James (ed. ), To Free the Cinema: Jonas Mekas and the New York Underground, ed. by (Princeton: Princeton University Press, 1992), p. 163. Michael Renov, ‘Lost Lost Lost: Mekas as Essayist’, in James (ed. ), To Free the Cinema, p. 224. Berger, And Our Faces, My Heart, Brief As Photos, p. 56. Vladimir Nabokov, Speak, Memory: An Autobiography Revisited (New York: Everyman’s Library/Alfred A. Knopf, 1999), p. 33. Pierre Fontanier, quoted in Michael Riffaterre, ‘Prosopopeia,’ Yale French Studies 69 (1985), 107. Maureen Turim, ‘Reminiscences, Subjectivities, and Truths’ in James (ed. ), To Free the Cinema, 206. See the account of Freud’s work on phantasy provided in J. Laplance and J. B. Pontalis, The Language of Psycho-Analysis, trans. Donald Nicholson-Smith (London: The Hogarth Press and the Institute of Psychoanalysis, 1980), pp. 314-319. Stanley Cavell, The World Viewed: Reflections on the Ontology of Film. Enlarged Edition. (Cambridge, Mass. : Harvard University Press, 1979), p. 102. See George Kouvaros, Awakening the Eye: Robert Frank’s American Cinema (Minneapolis: University of Minnesota Press, 2015). Cavell, The World Viewed, p. 127. C. P. Cavafy, Collected Poems, trans. Edmund Keeley and Philip Sherrard. (Princeton and London: Princeton University Press, 2009), p. 67. Edward W. Said, On Late Style: Music and Literature Against the Grain (New York: Pantheon Books, 2006), p. 146. In an email to the author, Mekas confirmed that he first encountered Cavafy’s poetry in 1990, during a trip to Egypt. Jonas Mekas, I Had Nowhere to Go (New York: Black Thistle Press, 1991), p. 469.